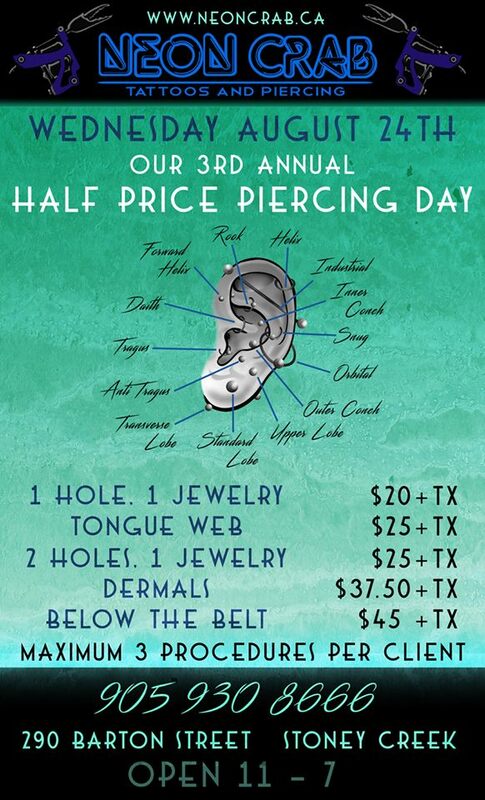 Neon Crab Hamilton News: Half Price Piercing Day!! Where has the time gone? Neon Crab Tattoos & Piercing turns 3 in Stoney Creek, and we are still going strong! But we know that we could not have made it this far without you. 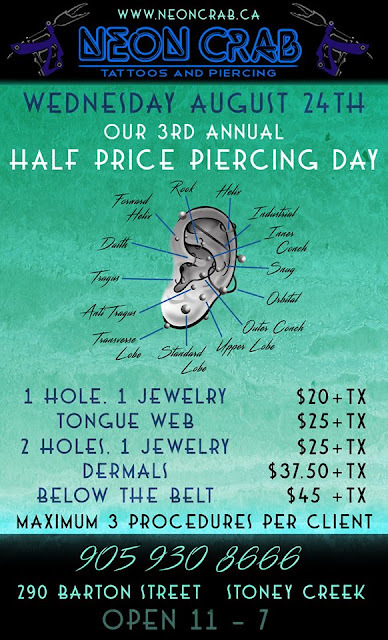 So to show how much we appreciate all of our clients, we are re-living the excitement of opening day as we always do on our anniversary by offering our much anticipated half price piercings all day long! That's right, on Wednesday August 24th, you can come in and get yourself almost any brand new piercing for only $20!! And just like opening day, we will be piercing all day long from 11am until 7pm on a first come first serve basis, no appointment necessary. So come and get stabbed at the Crab, bring your friends, bring your neighbours, have a great time, and get your self a new shiny piece of body jewelry!